‘You are the seventh photographer we are meeting and I also hope you will be the last one, Luisa is very difficult when it comes to photos!’. “After a long, long search for a photographer who could capture the emotions of my marriage and, above all, that could do it with good photos, I found Simone! He immediately realized what I was looking for and came across all my requirements. He is a great professional with an artistic eye. His photos are never trite, they are beautiful and special. I recommended him to those who, like me, do not look for the “usual” photos. 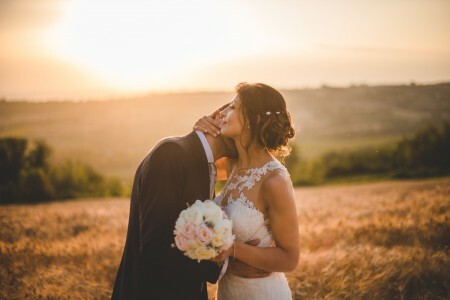 That was exactly what I promised the bride and groom: wedding photos that convey emotions, unconventional wedding photos, artistic wedding photos. According to my vision of wedding photography, I wanted something that made the images of Luisa and Ivan’s wedding very special! At the same time, I gave everything in order to create emotional photos. They loved the result and bride cried when she saw the pictures. I’m glad I made another couple happy. A civil ceremony was celebrated at the birthplace of Leonardo da Vinci. After the ceremony, we took a few moments for couple portraits in Vinci. 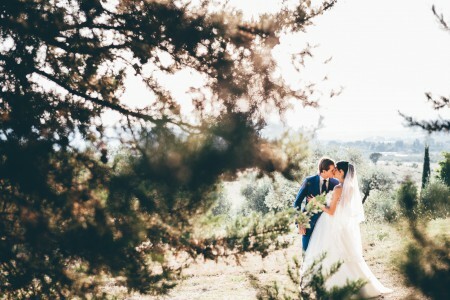 We ended the photo session in the Tuscan vineyards. It was the first time I was taking photos of a wedding at Villa Dianella. The location is great both for the wedding party and for beautiful wedding photos. A thanks to my friend and colleague Arianna for the wonderful collaboration.